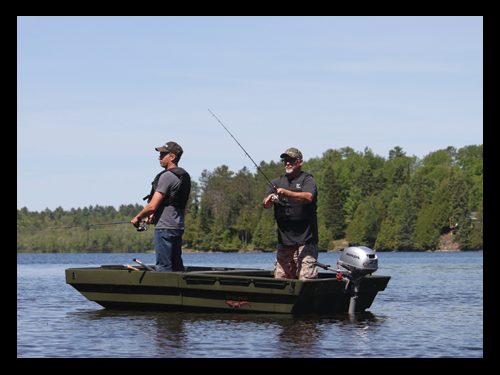 - Tetra-POD trailers are the only enclosed trailers in North America that turn into a boat!!! 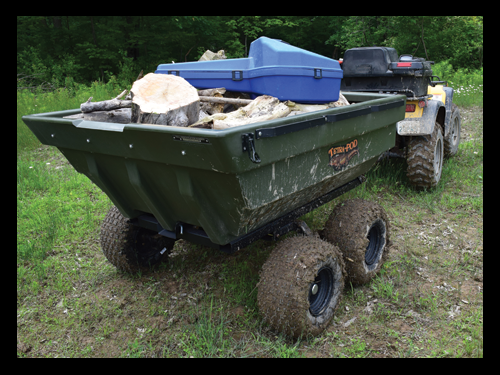 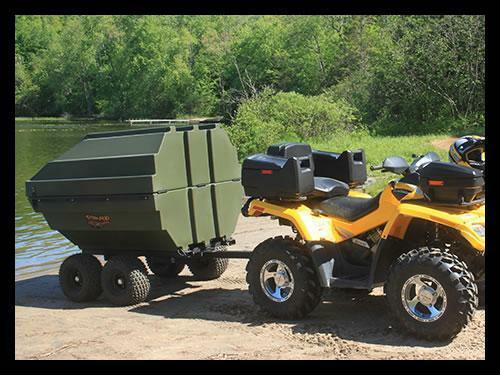 - This ATV/car trailer can easily switch between a tub trailer and a Jon Boat. 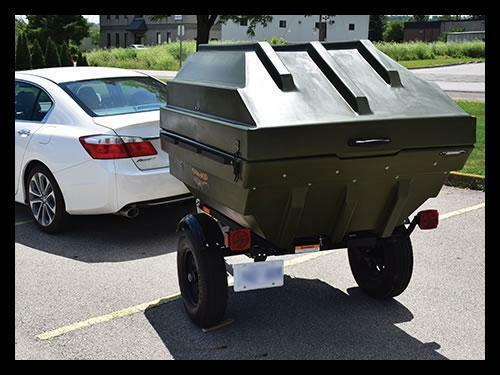 - As a trailer it can be enclosed or transformed into a fully dumping trailer! 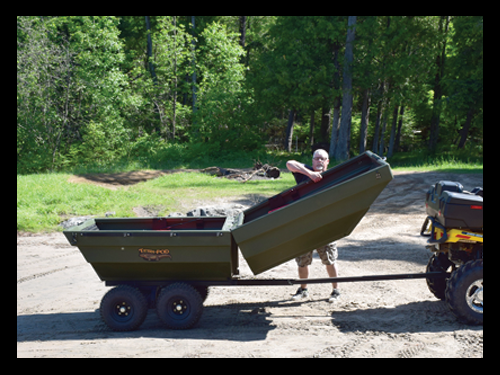 - Boat is rated for 2 people up to 766lbs on water.